The classic “Hello Moto” jingle reverberates from what can now be referred to as medieval times to mobile phones’ history. From back in the non-smartphone era that produced mobile phones that swiveled, flipped or slid, we’ve come to a more generic chocolate bar form that boasts large screens for both input and output. Motorola has been a major stakeholder throughout telecommunications history and for them to compete in the smartphone race is only befitting. After a recent acquisition by Lenovo, Motorola is still playing catch-up in the smartphone industry, constantly trying to improve on their flagship models and producing quality phones even on a budget. 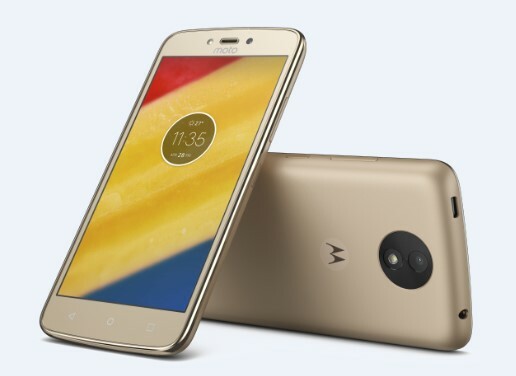 Although Motorola phones were around in the market with the Moto G series dominating numbers, the manufacturer has never had an official distributor in the country until recently. Laying claim as the first authorized Motorola distributor in Nepal, LifeCom Pvt. Ltd has recently made a huge entrance in the authorized distributors’ pool, launching a wide range of budget smartphones in Nepal. Over time, they are expected to launch an even wider range of Motorola phones including high-end models and flagships. In the meantime, we decided to check out these budget devices and picked two of them for this month’s review: the Moto C Plus and the Moto E4 Plus. While they differ in price by quite an extent, we look at these phones not as competitors but compare them side by side to understand how the two devices fare in terms of their pricing policy. Moto C Plus: These devices are both packed in a fairly straight forward, single-cutout box design that feel relatively cheap. The Moto C plus, being the smaller device is packaged in a smaller box. On the outside, the company information along with legal information of the handset including IMEIs is pasted. The box also reads Lenovo wherever possible. The contents of the box include your Moto C Plus unit, wall charger brick, standard micro USB cable that doubles up as charging and data cable, earphones, instruction manual and warranty documents. Moto E4 Plus: The larger device amongst the two has a box of slightly larger dimension but remains the same single cutout package. The inner contents remain quite identical with that 2A wall charging brick, micro USB cable, earphones, documentation and manual along with the device itself. Both the boxes read out major features of the phone along with an accurate depiction of the available colors of the handset. Moto C Plus: Although the unboxing experience was quite similar, the handset comparison is quite the opposite. Being a 5 inch device, the C Plus feels slightly smaller in the hand as we are accustomed to larger devices these days. Despite being a relatively smaller screen, the ample bezels around the top and bottom give it a larger profile. The noteworthy form difference comes with its thickness of 10 mm which puts it on the thicker end of the scale. All this contributes to a bulkier design. However, I like the fact that despite being thick, it feels fairly sturdy and durable. Also, the whole body is plastic here. Motorola brandings are located both in the front as well as back of the unit with port positioning on the top offering the earphone jack on the left and the charging port on the right. The buttons all go on the right edge with the power button off center - a little higher and volume rockers positioned above it. Button feedback is clicky and quite satisfying. The rear face calls for the dedicated camera rig with LED flash on the top center and keeps the speaker grill at the bottom. As far as the color options go, I received a Fine Gold variant which wasn’t to my liking. Metallic Cherry, Pearl White and Starry Black are other options up for grabs. For a removable back panel, the device has 2 SIM slots, micro SD slot along with a removable battery. Moto E4 Plus: Contradictory to the C Plus, the E4 Plus at a glance yells quality and elegance on a smartphone. The slimmer design, bigger display and a metallic finish all have a role to play. Although the earphone jack, power button and volume rocker’s positioning and order remain unchanged in this, the charging port on the E4 Plus is down on the bottom edge dead center. For me personally, that’s the best place to put that charging port. Again charging and data transfer occurs over a micro USB port. Neighboring the charging port are the speaker grill and microphone on left and right respectively. On the front, we’ve got that 5.5 inch IPS display. At the bottom end, we’ve got a front mounted fingerprint sensor and oddly no buttons at the side. All navigation buttons are on-screen and that bottom bezel has only the fingerprint sensor that comes into play only during locks and unlocks; odd. Up top, we have the call-speaker grill along with selfie camera and its flash as well as a Moto logo with sensors around it. At the back we’ve got the primary camera setup for utility and the brand logo for aesthetics. Popping that rear panel gives access to the SIM(s) slot and microSD card slot. The battery on the E4 plus isn’t removable. My review unit was a satisfying Oxford blue version. For option seekers, the phone comes in Iron Gray and Fine Gold among others. 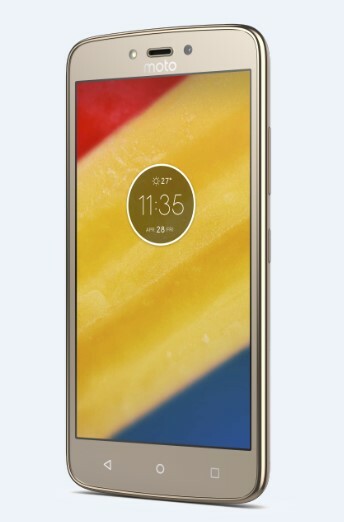 Moto C Plus: The cheaper unit kicks things off with a Quadcore 1.3 GHz Cortex A-53 processor on a Mediatek MT6737 SoC which is decent to power smaller phones. For gaming and other graphics intensive tasks, it has a Mali-T720MP2 GPU. On the memory front, it houses a modest 16 GB ROM with 2GB of RAM ample for the day to day operations on a device of this price range. It has a 5.0 inch 720p TFT display which goes quite bright and for the screen size has a decent pixel density. The colors are saturated pretty well and the display definitely feels very premium. Moving over to the camera setup, we have an 8MP primary shooter that fares out quite decently to be honest. The camera outperforms on well lit conditions producing decent daylight pictures. It gets grim when exposed to lower light conditions during the evenings and the night as images get grainy and even unclear at times. It can also get frustrating when the phone chooses a slower shutter speed for low lighting conditions that result in shaky pictures with several unwanted motion blurs. To compensate for this, Motorola has added an LED flash to both the front and rear cameras. Despite all that, the Achilles heel of modern day smartphones, low light pictures are still disappointing and low light selfies are only for the bravehearts out there. The front lens outputs at a slightly disappointing 2MP resolution. Beyond that, the phone retains the FM radio player and all in all comes to weigh in at 162 grams. Lastly, powering this phone is a whopping 4000 mAh battery. Moto E4 Plus: Under the hood, the brains of this device match closely with its smaller counterpart. Featuring the same 1.3GHz Quad core processor on the MT6737 chipset, the only change we see is in the GPU which is a Mali - T720. Being a bigger and better device, this is again a setback as users are looking for something better on the E4 Plus. Even the display retaining the same 720p resolution despite being 5.5 inches big, minorly cringeworthy. Although the display here is an IPS panel - giving it a smoother feel and being easy on the eyes, the noticeable pixels don’t give higher points which should be the better device. At the end of the day, all this does factor in on the overall device experience. When it comes to memory, the E4 Plus gets treated generously. Bumping it up to a 32 GB ROM and setting a 3GB RAM means it has enough storage and memory for the everyday multitasks. The device also gets better cameras that are specced up to 13MP on the back and 5MP in the front. Another addition on the E4 Plus that you won’t find on the C Plus is the NFC chip. Both devices come with Gorilla Glass 3 and oleophobic coating keeping the screen slippery to the touch. Lying on the heavier end of the scale, the phone weighs 2 grams short of reaching 200 but packs a sensational 5000mAh battery. a. Moto C Plus : The C Plus runs on Android 7.0 Nougat off the bat and it’s great to see budget phones feature the latest version of Android. In addition, the fact that Motorola keeps the OS as close to stock Android as possible is another plus point for the device. Without any bloatware, users have maximum storage space and RAM to work with here. I love the way the phone handles on daily operation and so far, for the brief review period, I’ve faced little to no issues with app switching, consuming media or using social networks. Watching high resolution videos such as 720p on Youtube can get a little clunky on occasions. b. Moto E4 Plus: Again, similar things on the E4 but slightly better off. The E4 Plus comes with Android 7.1.1 Nougat factory shipped and I am pretty sure, Motorola won’t shy away from software updates at least a few times. Courtesy of the devices higher RAM and GPU the phone tries to hold up and does quite well on most parts but on a larger display the occasional stutters become more noticeable. With practically no bloatware the phone has had to accommodate the one non-stock app that is the Dolby Atmos app to tweak speaker settings. Beyond that, it’s all neat on the phone’s software policy. Moto C Plus: This phone is top draw when it comes to budget smartphones. Performing decently for the average day, shooting bright and sharp pictures during the day and having loud and clear conversations, you can clearly witness quality in the hardware used by the manufacturer. The speaker grill’s positions results in muffled sound if placed on tabletops but there’s little to complain about there. The display experience was very satisfactory at this level and although the bezels might feel a little overabundant, it certainly adds reassurances to the durability of the device. Video playback looked and also sounded good. The phone y struggles heavily when keeping up with graphics intensive games but I am sure the manufacturers never intended the users of this device to get that ambitious. And most importantly, the large power unit does compensate for lower specs of other departments. Moto E4 Plus: Despite sizing up quite nicely, the experience of the E4 Plus I must say was rather mixed. While doing a side by side review of the two devices, I always felt the E4 plus trying a little harder on the inside to keep up with its good looks. Specced quite evenly, the E4 Plus definitely outshines the C Plus in major areas of interest such as camera quality, display quality, speaker clarity and the battery which already was great on the C plus. However, with the same processor and same resolution despite paying a significantly higher price, the phone does hint at obvious downsides. Despite having flash, selfies don’t meet expectations and as the better device there’s more room for complaints on the E4 Plus which C Plus users might readily compromise. Again E4 Plus users will still struggle with graphics intensive tasks including games as the device is rigged with frame drops and bad load times. I guess that’s where the Moto G lineup takes over. Moto C Plus: Without little reservations, those seeking an under-15k device should check out this phone. Priced at Rs. 13,990, the C Plus tries to give you a taste of most modern day smartphone features on a very low budget. Adding the sturdy build and marathon battery, the Moto C Plus could easily be your reliable and dependable everyday gadget. Moto E4 Plus: Absolutely gorgeous looking and premium by its own standards, the phone’s ergonomics are on point too. The aluminum body and its 5000 mAh battery are the obvious winners for this phone. However, the day to day experience on a Rs 20,990 phone could have been a little better. As the phone faces serious competition at that price range with most devices outsmarting it in the technical front, the Motorola build and design might simply be too much for other manufacturers to keep up to. For those seeking good looking devices with moderate performance requirements but displaying expensive looks, the phone is a serious viable contender.